This weekend I purposefully didn't bring any school work home so that I could give myself a break. I knew I would have the workdays Tuesday and Wednesday of this week to get plenty done. However, I can never get teaching off of my mind so I ran across some pretty cool things while browsing online. I used the code FSJAN14 to order a few things from Oriental Trading with no minimum purchase. I just bought some bookmarks and China trading coins for my students. My total was just under $5. Over the Summer I was very involved in Twitter and meeting other professionals to share ideas. I have been slack on joining weekly chats lately but I found a good schedule that lists some of the top educational chats. Check out 13 Great Twitter Chats for Educators if you are interested. I'm going to join the #tlap chat tonight at 9pm EST. 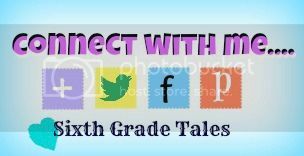 If you'd like to follow me I am sixthgradetales on Twitter. I am super excited to have came across the site Book Unit Teachers. It has sites filled with facts, games and activities for many of the social studies units I cover. They also have language arts resources as well. I am a moderator for two educational Pinterest boards. One is for Middle School Language Arts and the other is for Middle School Social Studies. If you pin things for either of these subjects, please let me know. I love adding more pinners to the board so that we always have fresh pins. 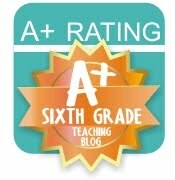 Follow Teachers on Pinterest's board Middle School Social Science on Pinterest. Follow Teachers on Pinterest's board Middle School English on Pinterest. I hope you are all having a fabulous Martin Luther King holiday.